The top four teams sealed their spots in the playoffs but there’s still a lot to look forward to in the CSL’s top division this weekend. NY Shamrock SC is traveling to Tibbetts Brook Park Field 3 on Sunday to play Lansdowne Bhoys in the Irish Derby. Champions NY Greek American will look to inflict Cedar Stars Academy their first loss after 12 CSL consecutive wins. Doxa SC will fight to draw three necessary points in their fight to exit the dropzone from fellow bottom half-of-the-table club Central Park Rangers. After blanking Brooklyn Italians 2-0 in the opening round of the Lamar Hunt U.S. Open Cup on Wednesday, second placed Lansdowne will verse NY Shamrock SC on Saturday night in the Irish Derby. The Rocks fell to NY Greeks 3-1 last week, losing their chance of making the playoffs . Hence neither team is in need of points but expect them to put up a hard fight for Irish bragging rights. Cedar Stars Academy won their last 12 CSL matches, outscoring their opponents 53-3. 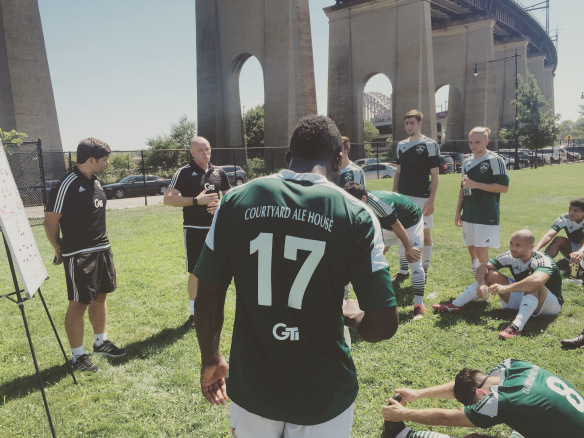 NY Greeks is the next team that will attempt to break CSA’s CSL win streak. NY Greeks midfielder Adam Marcu noted how crucial it is for his club to diminish the Stars’ confidence with a win before the playoffs. Marcu went on to explaining that even though neither club need the three points both clubs won’t be able to contain themselves from putting everything on the line to be the best team of the night. “I think that is sort of the trick of this game,” the midfielder said. “Neither team really needs to take any points, and we have to be smart about avoiding injuries ahead of a really busy cup and playoff moment ahead. I think there will definitely be a balancing act between trying to be smart and manage the situation and trying to assert a measure of superiority with playoff matchup right around the corner. Cedar’s captain Christopher Katona netted in 10 straight league games. NY Greeks forward Daniel Massey scored a brace last weekend versus the Rocks. Manhattan Kickers midfielder Jake Mann will be going against his old side NY Athletic Club on Sunday. “I've spent almost every other weekend for the last four years playing up at Travers Island and haven't been back since my transfer to the Kickers,” Mann said about playing against his former club, “so I'm excited to return to a ground I'm extremely comfortable at. I have a ton of great memories playing for NYAC and a lot of my friends still play there so it'll definitely be a bittersweet reunion for me. The Kickers sit rock bottom in the table and need at least four points from their last three games to crawl out of the dropzone. Mann expressed how crucial it is for Manhattan to defeat NYAC. Last time the two sides met, NY Athletic blanked the Kickers 2-0. Central Park can secure their spot in D1 next season with a win over ninth placed Doxa. Greco stated that one of Central Park’s key to win is to equal Doxa’s fervor to go home with all three points. “It’s important we match their intensity from the start with the understanding that we need to play smart as a tie might be enough to keep us up,” Greco said. CPR edged the Greek club 3-2 last time they faced them in the league, thanks to Stephanos Hondrakis’ late winner. 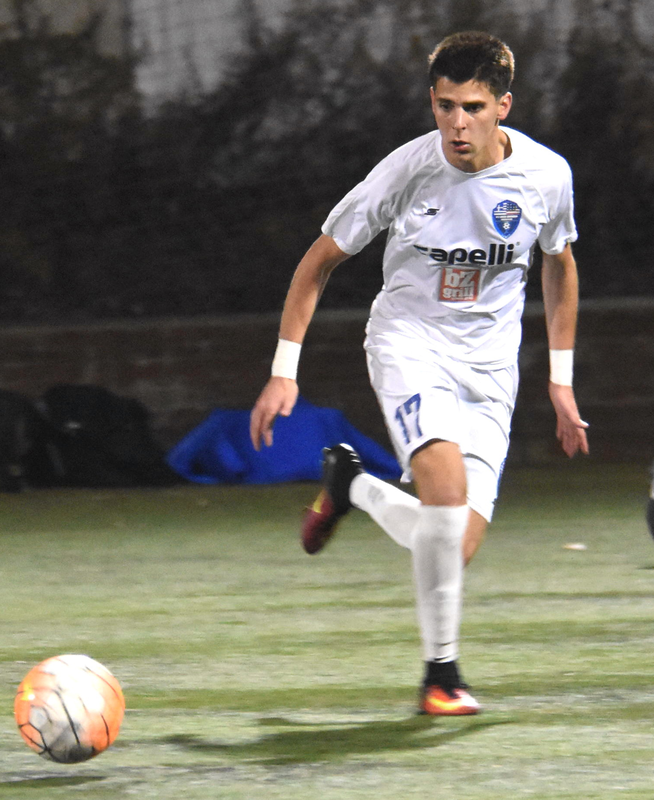 Zum Schneider stunned NY Pancyprian Freedoms 3-3 earlier in the season. Zum will take on the Cypriot club for a second time in the league this season on Sunday. Defender Willya Mekolo shared that the club’s last result versus the Freedoms makes them more comfortable before Sunday’s encounter. NY Pancyprians cruised past Central Park 6-1 in their last game. The Freedoms' midfielder Adam Himeno was nominated Player of the Week last round for netting a brace and tallying three assists versus CPR. Unlike the Freedoms Zum lost their last match, falling 6-0 to Cedar Stars. Mekolo is keen to bounce back with a good result against NY Pancyprians. “The way we move forward is to put the loss behind us and to refocus on the main objective ahead, which is to stay in the first division,” the center back said. “We have been able to get the results needed to be above the relegation zone and that is what we plan to keep doing this coming weekend.